These Buddhist Pendants & Amulets are all from Thailand. 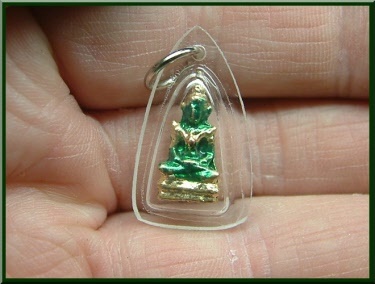 Silver coloured Buddha statue as pictured inside resin case. Just slip on a cord and wear immediately. Thai's believe that wearing this pendant can bring good luck and fertility to the wearer. 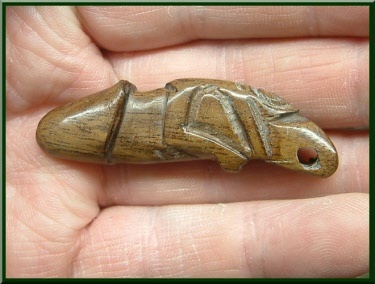 Made in Thailand from wood. 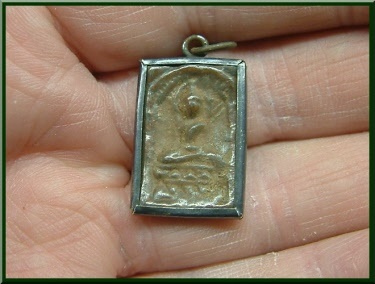 Older style Buddhist Pendant / Amulet from Thailand. 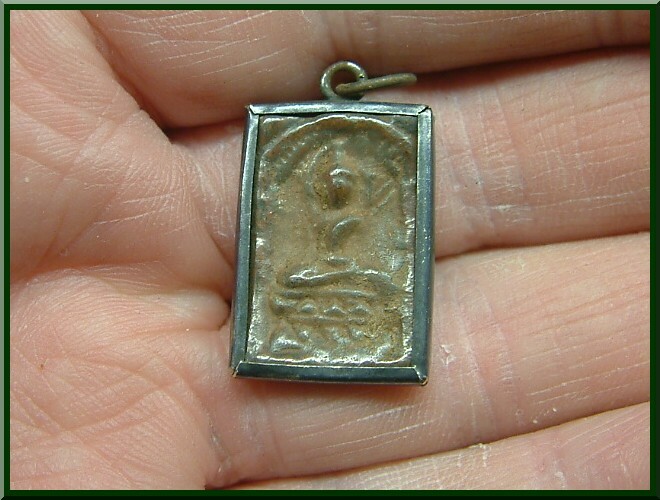 Thai's believe that wearing a Buddha Pendant can encourage long life, good luck and protection from evil spirits. 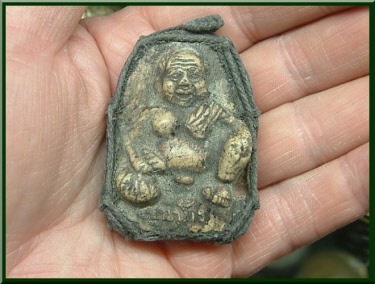 As pictured this large Happy Buddha pendant is believed to bring good luck and fortune to the wearer. 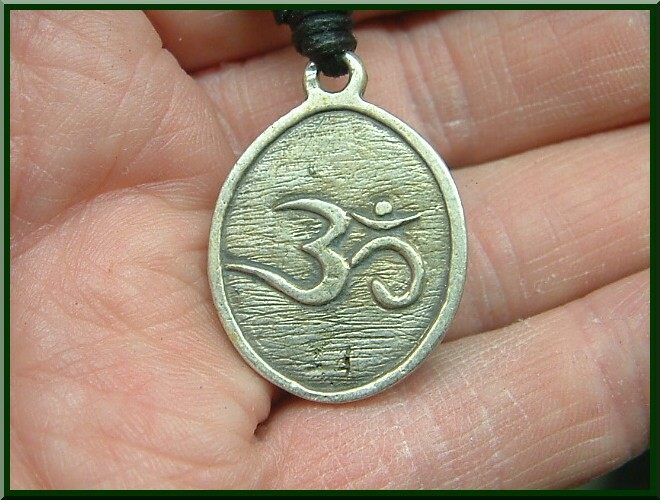 Ganesh on one side and the Sanskrit Om on the other, wear it any way around you prefer. 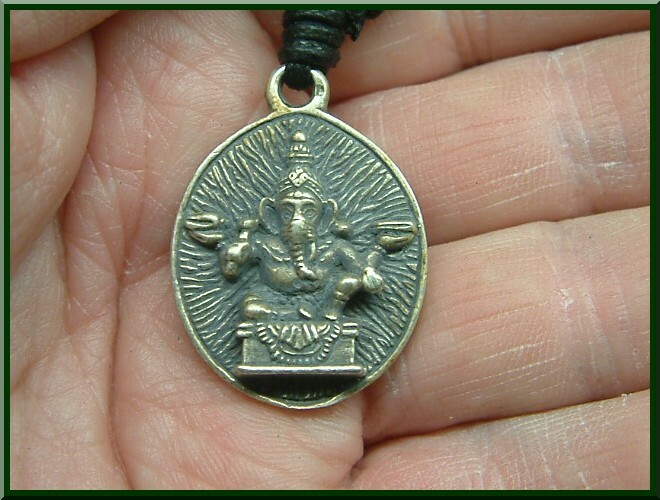 Made from metal in Thailand and has an adjustable cord so will fit anyone. 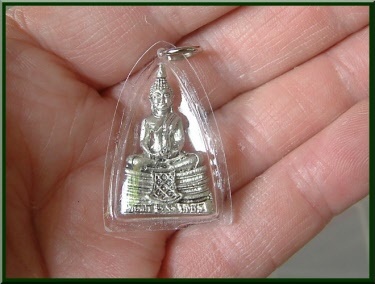 Positioned high up in the Kings Royal Palace Temple in Bangkok Thailand is the most famous Buddha Image in the country. Here is a little Thai Emerald Buddha pendant in a case all ready to wear around your neck / can bring good luck and prosperity. 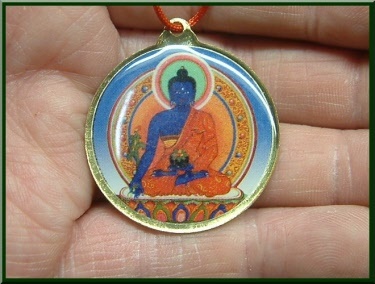 This pendant is of the Medicine Buddha / healer of body and mind. Comes on a red cord ready to wear. 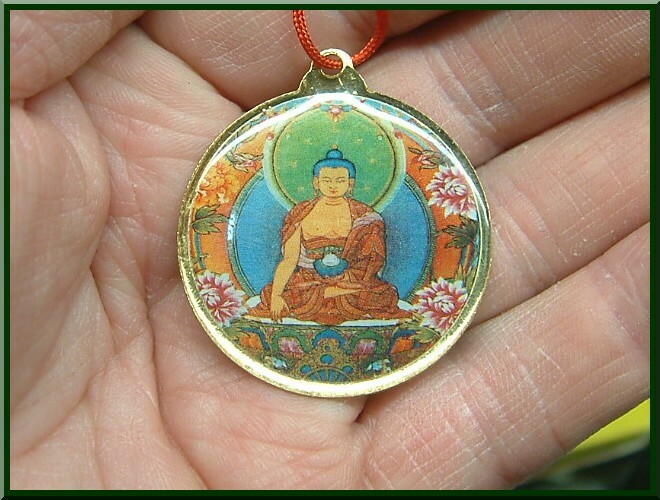 As pictured this Buddha pendant comes on a red cord ready to wear straight away. 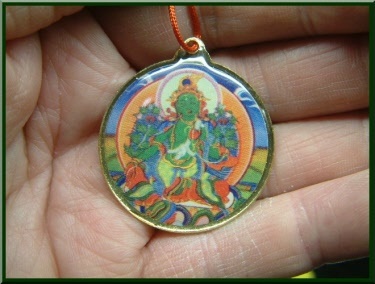 Green Tara pendant is metal and enameled, has the Gau or Gate to Enlightenment design on back. Comes with red cord ready to wear straight away.